On Thursday, November 6, the "Detroit News" forecasted "moderate to brisk" winds for the Great Lakes. On Friday, the "Port Huron Times-Herald" predicted a "moderately severe" storm. Hourly the warnings became more and more dire. Weather forecasting was in its infancy, however, and radio communication was not much better; by the time it became clear that a freshwater hurricane of epic proportions was developing, the storm was well on its way to becoming the deadliest in Great Lakes maritime history. 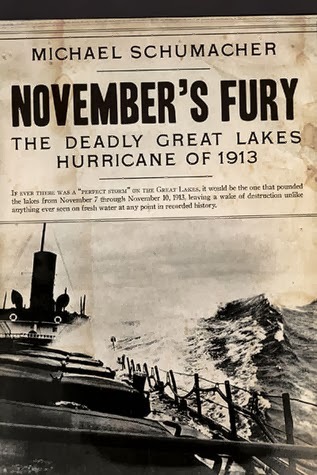 The ultimate story of man versus nature, "November's Fury" recounts the dramatic events that unfolded over those four days in 1913, as captains eager--or at times forced--to finish the season tried to outrun the massive storm that sank, stranded, or demolished dozens of boats and claimed the lives of more than 250 sailors. 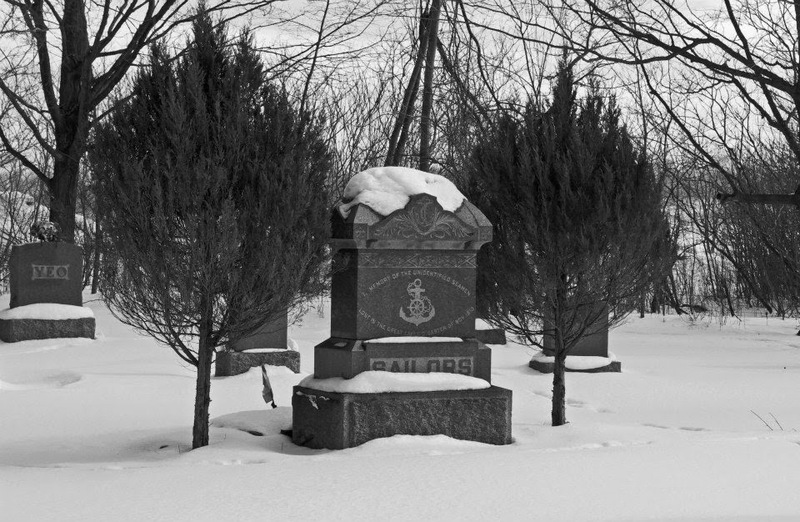 This is an account of incredible seamanship under impossible conditions, of inexplicable blunders, heroic rescue efforts, and the sad aftermath of recovering bodies washed ashore and paying tribute to those lost at sea. 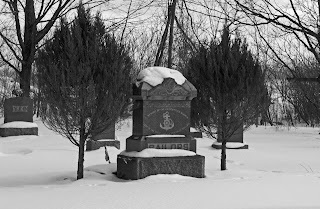 It is a tragedy made all the more real by the voices of men--now long deceased--who sailed through and survived the storm, and by a remarkable array of photographs documenting the phenomenal damage this not-so-perfect storm wreaked. You might not peg me for the type of reader who enjoys man vs. nature stories. You'd mostly be right. But when the tale takes place practically in my backyard I have to take notice. I'm a Midwesterner. The Great Lakes have been a silent backdrop to much of my life. Sadly, I didn't know much about this particular storm. 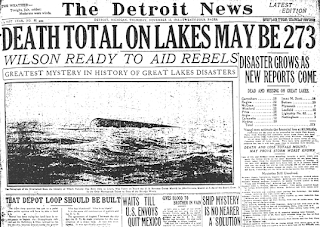 The only Great Lakes sinking I knew of (as many do, thanks to the Gordon Lightfoot song) was the Edmund Fitzgerald on Lake Superior in 1975. I'd briefly read about the terrible storm of 1913, but only as it related to land. I hadn't given much thought to what happened on the Great Lakes over the course of this "white hurricane". 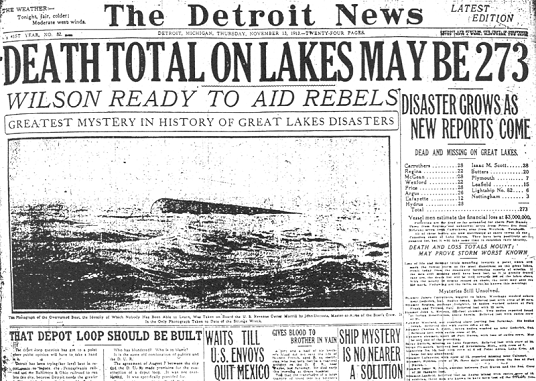 The hurricane of 1913 was catastrophic on both land and on the seas of the Great Lakes. Schumacher takes us onto the ships and into the heads of the sailors that battled this amazing storm. The split second choices they made were more important than they realized. Some survived. Many did not. While I wish there had more personal details about the men on the boats I do recommend this book to aficionados of history, maritime or otherwise. It's a well written reminder of a different time. The most important reminder is that there were men that never made it home. They shouldn't be forgotten. I had never ever heard of a freshwater hurricane until your review. Hurricane stories are particularly fascinating to me, having lived through a couple of the worst we've had in Texas. The force of Mother Nature is truly incredible. Thanks for introducing this one to me. I'm adding it to my list! I'd never heard of it put quite that way either, but it makes complete sense. The Lakes are GINORMOUS. I hope you get to it, and enjoy it! This is all new to me, but I can understand how such a tale can be very interesting, especially if you know where it takes place. Yes, this was incredibly interesting! Well, seeing as I grew up about 40 minutes from Port Huron and spent my childhood on Lake Huron, it sounds like I need to pick this up! I love watching man vs nature stories but I'm not much of a reader of such stories, maybe because I find it hard to visualize such things. This does sound like a fabulous read though. I had never heard of this incident, the book sounds fascinating! I had but only a bit. I think I read a book that took place on land during this huge storm. It was a doozy! After reading Peter Geye's Safe from the Sea, I'm very much interested in learning more about life on the Great Lakes. Think this one is just the one for me. I've always wanted to be into man vs. nature books but can't seem to plow through them. I seem to like them in the screen, though. Glad you enjoyed this one! They are usually way better on screen ;) They seem to require that visual medium don't they? This one was a good though. I've also never heard of this, but I do like "disaster" reads. It's not the BEST one I've ever read probably, but it is a darn good book. Of course, if there are people from the States who don't know about the incident, you can imagine that neither did I have any idea about it. I like books that talk about incidents of the past, but I'm not sure if I would like a story about ships, which is really not my thing. I love bizarre, tragic weather book (like The Perfect Storm. And maybe this one?). I try not to get TOO interested and gleeful about reading them because it's jsut odd, but it amazes me what the world can produce sometimes. I think one of Clive Cussler's books covered this storm...now I'm going to have to check. I've always meant to read The Perfect Storm. Maybe one of these days?? Never heard of it, Jennifer. I don't read many of these types of books, but I actually should! Love the last two sentences of your review! I'm the very same way, I like the human stories behind historical events. I do wish this book had more of those. I have never heard of this storm either! And I took Michigan History in college. Lol. Very interesting, I will have to check it out.